Another match, another night of frustration and wondering what might have been for the Seleção. As against Ukraine, Portugal faced a resolute display of defensive toughness and organization that proved too difficult to break down. Dusan Tadic, one of the match's best players, converted a first half penalty, but Danilo popped up to score a belting goal from long range to draw the sides level. Then Portugal were dealt another blow as Ronaldo was forced off with an unknown injury in the first half. Try though they might, the home side were obligated yet again to settle for a bitter draw in front of an expectant home crowd in Lisbon. As anticipated, Fernando Santos did make changes to the starting XI that faced Ukraine on Friday night with Rafa, Danilo, and Dyego Sousa coming into the team at the expense of Moutinho, André Silva, and Rúben Neves. But the heavily criticized double-pivot 4-4-2 remained in place albeit with Danilo bringing a very different set of capabilities to bear alongside William at the base of Portugal's midfield. Meanwhile, Dyego Sousa was hoping to exploit the opportunity offered him as a result of André Silva's poor form. The first half was utterly manic. Portugal nearly took the lead in the 5th minute after a goalmouth scramble resulted in a William effort that floated just wide. But Serbia took the lead with their first attack of the game. Gacinovic was put clean through with a neat chip over the Portuguese backline from Tadic. Patrício rushed out to clear the danger but succeeded only in body-checking Gacinovic with the referee pointing to the spot after a moment's hesitation. Dusan Tadic sent Patricio the wrong way for the 0-1 lead. Ronaldo was then denied by a brilliant save from Dmitrovic only moments later when his dipping shot from outside the box was palmed to safety. Rafa Silva was the next to go close with Dmitrovic again deflecting his effort just the wrong side of the post. Serbia, meanwhile, looked good value with every attack creating uncertainty along the Portuguese backline. Chances kept coming for Portugal and Ronaldo brought down a long pass from the left with brilliant chest control only to mishit his attempt at a cross. But the situation went from bad to worse for Portugal in the 28th minute when Ronaldo noticeably felt something wrong in his right leg as he was chasing a mishit pass from Rafa. Santos was immediately forced to withdraw Ronaldo and Pizzi entered the fray. The game quieted somewhat after Ronaldo's exit, but then Portugal's spirits were lifted by an unexpected hero. Danilo received the ball near midfield and took advantage of the hesitant Serbian response to mark him. The Porto midfielder galloped past several defenders and unleashed a blistering shot into the top right corner, a sensational goal. ⚽ Danilo 42' | Mas que g-o-l-a-ç-o 🙀😲. Serbia came right back and nearly scored again when Mitrovic set up Tadic with a cushioned header, but the Ajax forward's poor effort skied over the bar. The visitors finished the half on top with Portugal pressed back into their own defensive third, but the teams went into the break all square at 1-1. Rui Patricio was obligated to make the first save of the second half getting down smartly to his right with Tadic looking for any rebound. Then Dyego Sousa just missed making contact with an excellent cross from Guerreiro on the left. Ljajic was set up beautifully in the 55th minute after good movement down the right, but his shot from the top of the penalty area was scuffed well over the bar. Fernando Santos exchanged André Silva for Dyego Sousa, who had struggled to make his mark on the game. 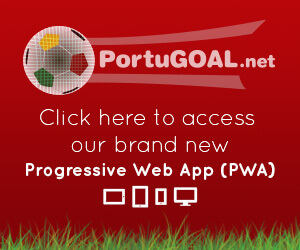 Portugal gradually retook control of the match but struggled to create good chances despite increased possession. Danilo tried another hopeful shot from range and William failed to control a decent André Silva cross from the right as Portugal labored. Then with 20 minutes still to play, a goalmouth scramble involving Rafa Silva and William was somehow cleared by the dogged Serbian defense, a major let-off for the visitors. Minutes later a penalty was called for Portugal due to a handball in the area, but after a short discussion the referee waived it off. Replays showed the ball striking the defender's outstretched arm, and the decision was made even more perplexing because Portugal were also not awarded a corner after the penalty was retracted, possibly due to offside. Guerreiro tested Dmitrovic with a free kick from the right in the 79th minute but Serbia continued to frustrate Portugal. The Borussia Dortmund left-back narrowly missed another shot from distance in stoppage time. There was even time for Bernardo Silva and Pepe to miss glorious chances that seemed destined for the back of the net. 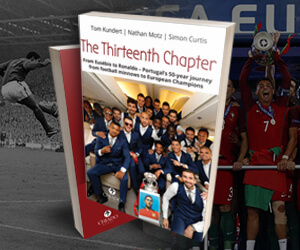 But as in so many other cases throughout the years, Portugal endeavored to no end and face the prospect of yet another gruelling qualification campaign against opponents that seem beatable on paper. In truth, the loss of Ronaldo to injury desperately hurt their cause, but with or without its captain, Portugal let far too many chances go begging. Serbia for their part were resilient in defense and looked impressive on the counter until they tired in the second half. Though skillful, Portugal's young talents showed a lack of ruthlessness over the course of the matches against Ukraine and Serbia. Meanwhile, Fernando Santos continues to field a defensively-oriented starting XI with two DMs attempting to inspire attacking play through midfield while maintaining cover for the back four. It hasn't worked, and Portugal have it all to do in Euro 2020 qualifying as they now turn their attention to the UEFA Nations League semifinals in June. Portugal will resume qualification on September 7th against Serbia in Belgrade. Ok, what happened to this coach. What a joke on team selection. Where are our young guns? Seriously he is starting a 29-year old striker? And why do we always play down to our competition? Rafa, Pizzi, and Sousa should be the last time they play for the national team. Can someone tell me what is going on? I am 51 and I have seen this crap for many years, we have great youth teams and I thought this coach was going to follow the script of the 2016 Euro's, somehow he has lost his mind. Tactics, team selection where terrible. I mean terrible. And why do we know has spectators what is happening on the field and they don't see it? Sousa got 60 minutes????????? Jota didn't smell the field? Can anyone please tell me how Pizzi and Rafa played on this team? They don't even deserve to be on the bench. Congratulations to the squad and workethic in the dying minutes, nothing to complain about. For the rest of the game we can conclude that it all started with the unsettling and outrageous line-up. How the hell can you ever come up with such an formation and 2 CDM's in the same match. You need to build up the game through the middle. By forcing every building up play down the flanks, the gameplan is way to predictable. Johan Cruyff, always said to build up through the middle and extent the play to the wings with the support of the wingbacks overlaping. We definitely need to think about an other formation whereby the key is to dominate the midfield. We can't even make 100 % chances with this line-up currently. Still havent seen a sign of Diogo Jota or Joao Felix. Players who can make an difference in the finale third. Santos is so stubborn and it is each campaign the same problems all over again. With this small mentality play, we make teams with more phyiscal appearances way to easy. We should make sure our most talents players will profit from the system and build ing the team around Bernardo Silva as the main man as keystone of our team, playing behind the strikers and make use of his talents and distribution with William providing cover on the CDM. And Joao Felix and Ronaldo up front. By this you make the spine of the team as strong as possible. We can conclude that if Santos doesnt make the necessary changes, he or the team will perish anyhow. We cant keep playing this little mentality game anymore. Try something different and put the right players in the right positions and give Semedo, Jota and Felix a chance to start from scratch. Try out Guerreiro as left mid who can contribute to both the attack and defense, something we had in the likes of Renato Sanches. We miss his energy and dynamic play. Guerreiro can provide that and Semedo is more able to secure the back four, due to his character and abilities. Poland ref awards a pen to Portugal near the end of match lines man overturns it from the the other side. Santos Portugal manager along with the ref and line man after the match watch the replay of the pen together and ref apologies to Santos and says it was a pen. why no VAR in the qualifiers? I'm going to start off with something good. The mid-field were energetic and creative, they made plays and passes and kept ball control. There was some great control today from Bernardo and William. The worry-some, was in the final third. Why do we send blind crosses in, when our play making and mid-field passing skills are so tight? Why can't they just keep playmaking to goal? What is Santos so afraid of? Even with our defence pushed way up we still weren't REALLY challenged. The other smaller teams in the group are gonna park the bus bus on us. Why? because they know it works. Let's surprise them. We have until September to make some changes. Save face Santos. Be brave, your players are. I think we are missing Santos' genius here. He is using a defensive set up because he is preparing for the Nation's league. He figures those teams will come after us, and we will be ready. Otherwise, he has lost his mind. As far as Euro qualifying, we are going to have a tough go of it. I do think Serbia will mostly employ the same tactics in September and so will the other teams. Now Santos has to pick an very offensive team that wants to be the dominate team in the group. I don't know if he is capable of that mentality. He prefers the under dog, defend and then do a smash and grab for the win. I think it is time for a mentality change. Portugal have to set up and realize they are a favorite side, even if the many pundits do not feel that way. The teams they are playing definitely are giving us the respect. We can't counter attack team who refuse to attack. As much a I like Guedes, he strengths are exploiting big spaces with his pace or his passing. He was not the best choice for small tight spaces. Why didn't he bring Jota? Jota is better in smaller spaces. I did like Bernardo stepping up when Ronaldo left, I wish he would do that all the time and from the beginning of games. I am not a fan of Guedes but you are correct, he operates better in open space, not in tight space. IMO should not be NT player, he is out of his depth. He had a decent few months of club soccer last year but he has proven to be too nervous, lacks vision and clumsy for the big moments. Disappointing game but the players gave all they had, the effort and determination was there but lack of cutting edge which is a theme going back many years. 1) Sorry but the likes of Rafa Silva, Pizzi, Guedes, and Sousa will not cut it. We had Jota and Felix despite his age who are above these players. How the likes of Rafa Silva starts baffle me, he has never done anything for the national team and he gets CR7 injured on a stupid pass. 2) I understand the two DMs concern but i thought they gave us some drive up the middle and energy, just don't have the finishing quality (William) or able to make that final killer pass. 3) We need to find a CM engine, not sure Bernard Silva is the answer, he is as nice player but can't be your best player. He has never really produced for the NT. 4) Guedes has no nerves, he is mechanical and has failed in every game for the NT. Worse is he came off injury and we leave RQ7 off the team to have a player with no proven track record in any big game. 5) Time to release some youth and speed with Felix, Leao, etc. Can't be worse than Sousa. 6) We need better play on crosses from Raphael and Cancelo, I thought their passing was horrible. It appears with two DMs these two were to provide width but no quality service. I would put Dalot or Nelson at LB and play Raphael in midfield, he is certainly better than Rafa Silva and Pizza. We can still qualify but it will take getting the mix right. The problem I see is we have the wrong attributes, if we play to benefit one player then we sacrifice somewhere else. My example is Ruben Neves, a player who may be a good club player but offers nothing we need for the NT. The midfield is all nice compliment pieces but not that one Rui Costa or Deco type player. Even B Fernandes who everyone is high is another player who has not benefited the NT when call upon. We need to get it right quickly and stick with some system or formation. I feel like if I watched a Portugal game from 10 years ago, then typed a response to the game and saved it...I could just reuse that same response over and over. Sousa might as well be Liedson, remember him haha. Liedson offered nothing to Portugal and I don’t think Sousa is any different. I was texting my cousins like I always do during the games and one thing that I don’t like is Rafa, Bernardo and Pizza were all on the field occupying the same spaces and those players I named are similar not only in size but also what they want to do. I really don’t want to type anymore I’m just so sick of not being able to score goals, I’m so sick of passing the ball backwards and around the box and then swinging crosses that go over the stadium. I swear I don’t know if it’s a Portuguese curse but I feel like our wingbacks over the years can’t cross the ball to save their life. Good point,these three are of the same ilk. Too small and not athletic enough to complete against a physical team. They bring the same attributes to the game, you can only play of these guys... the three can not be on field at the same time. B Silva is the best of the three obviously, the other two are not world class NT type players. This is a mix issue, not sure why Santos can't see it. I watch enough sports in the US to understand no matter the sport you can't put certain combos on the field or court at the same time. This is the problem with this current generation, decent talent but they have certain limitations that you can't duplicate on the field. What a frustrating match. We really lacked something in final third. 4-4-2 doesn't seem to work at all. This isn't 2016. Once we won Euro 2016, we celebrated like that's the only thing we ever wanted from international football. Now we don't have enough mentality to win all the games. We were lax in the WC. Then somehow played decently in UNL. And now things have turned to the same old story. It's either a draw or a loss. Once in a while it's a hard fought 1-0 victory. Guess who would be the scorer? Ronaldo of course. I'm not sure whether it's time for Santos to leave but he doesn't give me the confidence that he used to give when he got appointed as NT coach back in 2014. It's hard to write a formulated opinion when my screen was buffering every few seconds but there seems to be a lot of issues with this team. I believe Portugal are experiencing an identity crisis and Fernando Santos does not have the mental aptitude to fix our problems. Who is this Dyego Sousa guy anyway? I've never heard of him and didn't Santos say he wasn't interested in naturalizing players? Surely, he couldn't think throwing him in there would magically fix everything. It's a shame that we need to field our Portuguese national team with Brazilian rejects. I really feel that it diminishes the integrity and authenticity of our team as well as lessens the natural excitement we should be experiencing in watching our selecção. This isn't to say that I wasn't a fan of Deco (because I was) and Pepe has been a rock for us down the years despite his occasional hotheadedness and embarrassing lack of self control, but all in all we're talking elite professionals who dedicated themselves to Portugal and enjoyed long careers spanning multiple international tournaments. But when it comes to naturalizing a player in attempt to plug a few water holes.. it's plain silly and reveals how Santos has sort of swerved our team into a ditch and he's just left there sitting in the driver's seat with his arms and palms facing upwards.. completely out of ideas. I echo much of what has already been said in regards to playing two DM's.. Paulo summed it up with the "defend, smash, and grab" comment. This is Fernando's style and it's just ingrained inside his brain. I can talk about how Bernardo appears to be more useful on the left wing than he is on the right but the fact still remains that he's being played out of position. I Our current roster does not reflect this style of play Santos has implemented since the start of his tenure and we will continue on this bumpy road to nowhere until major changes are brought forth. Agreed man and great analogy. Summed up Santos nicely. I love the guy but what the hell is his plan? 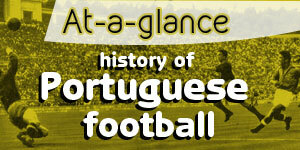 Pizzi, Rafa and Dyego Sousa come in for their offense and where does Portugals attack come from? William and Danilo. Pizzi was worst in camp. At least now a certain segment of fandom will stop calling for these guys to start. Portugal have 1 goal from a DM from a broken play and a golaso to show for back to back winnable home games. Remarkable awful results and baffling tactics and substitutions. I dont get Santos plan at all. Guereiro is another player who has regressed to the point of benching him. His passes and crosses stunk. Cancelo was strong today and at least plays with passion. William has been best in camp twice now. Deepest squad ever and NO gameplan. No tactics. No direction. Seems like previous Selecao coaches Santos has arrived at his end. Game has passed him by. Still using 1990 tactics in 2019. I dont even care anymore about the VAR screwjob, Portugal always get screwed VAR or no VAR. same result. Linesman and ref are incompetent. Time for a coach with a plan and NO i dont mean the clown Mourinho. Jardim maybe or someone who understands attack oriented football as every game Portugal will inevitably face 10 defenders. Thanks for at least calling him by his proper name PIZZI and not PIZZA like some of the other commentators on here. Rafa and Pizzi have no place on the National team, I hope red-visioned Benfiquistas can see this now. Also, agreed that Jardim should be the man targeted for the job. He has something special that Santos lacks: adaptability!